We own and operate a farm near Stettler, Alberta. 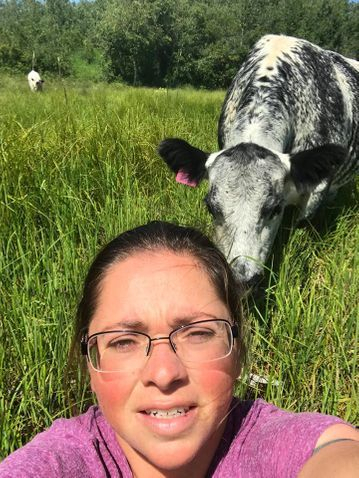 I grew up wanting to own a speckle park herd and was able to purchased my first heifer in 1999. Started my herd of her daughters and grand- daughters and so on. As the time went by we decided to get into purebred cattle but now its not just a dream. 80 plus commercial speckle park cows. That all started from one good old dam Parkland Speckle Park 1J and Sire - Rob 'N Sons Farm 11N along with some new bloodlines purchased DLR Simba 44T and a son of Calamasue 46U & JoJo of Par 11P - Countryside Ylander 7Y along with a few purchased cows and herd bulls now that these two boys are no longer. We are run two full brothers of Countryside Ylander 7Y/ Par Susan 10S along with MX Big Country 103B, Uneeda Black Tie 15B, Par Charmer 260C, and Countryside Cayden 105C a Par Susan 10S grand son who was orphaned as a calf but has done an amazing job in our commercial herd. 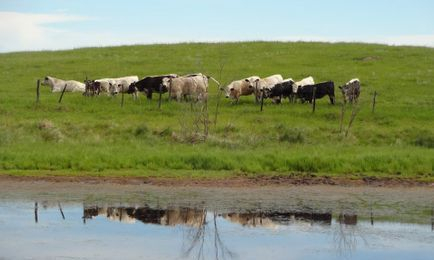 We would love to help you get to know this exciting cattle breed. 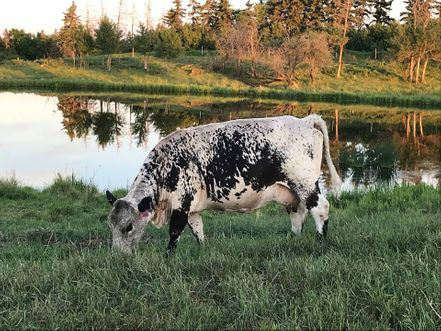 When you come and visit the herd you will see all the great benefits of speckle park cattle. Longevity- there are a few girls over the age of 16 and still going strong. To satisfy all customers we offer for sale off the farm.